Brow bone reduction is typically associated with two types of patients which are equally split in numbers in my experience. The first is the male who has very strong brow bones, Neanderthal-like, that sticks out very strongly. The second is the transgender male to female patient who also has prominent brow bones due to their genetic make-up but may not necessarily have the very strong Neanderthal-like brow appearance. In both of these cases the most commonly used brow bone reduction technique is the osteoblastic flap setback method. This is where the outer table of bone over the frontal sinuses is removed, reshaped and then put back. 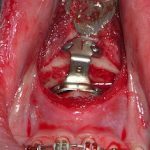 This produces the most significant brow bone reduction as the actual dimensions of the frontal sinus cavity are changed. As one wall of the room, so to speak, is brought in, the cross-sectional area of the frontal sinus cavity becomes less. In essence the protrusion of the brow bones are thus decompressed. But there are indications for a lesser approach to brow bone reduction. These can be in males or females that need a more ‘minor’ brow setback whose magnitude is within the thickness of the outer table of the frontal sinus. It could be in patients that have brow bone asymmetry where one side the brow needs to be reduced only. This usually means 3 to 5mms of reduction needed. 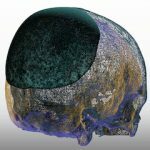 This is done by a bone burring method where the thickness of the outer table of frontal sinus bone is thinned to create the reduction.